An adorable boot cuff crochet pattern with optional button! These crocheted boot cuffs will add some fun and whim to any outfit. Make them with or without a cute button and in any color yarn you prefer. 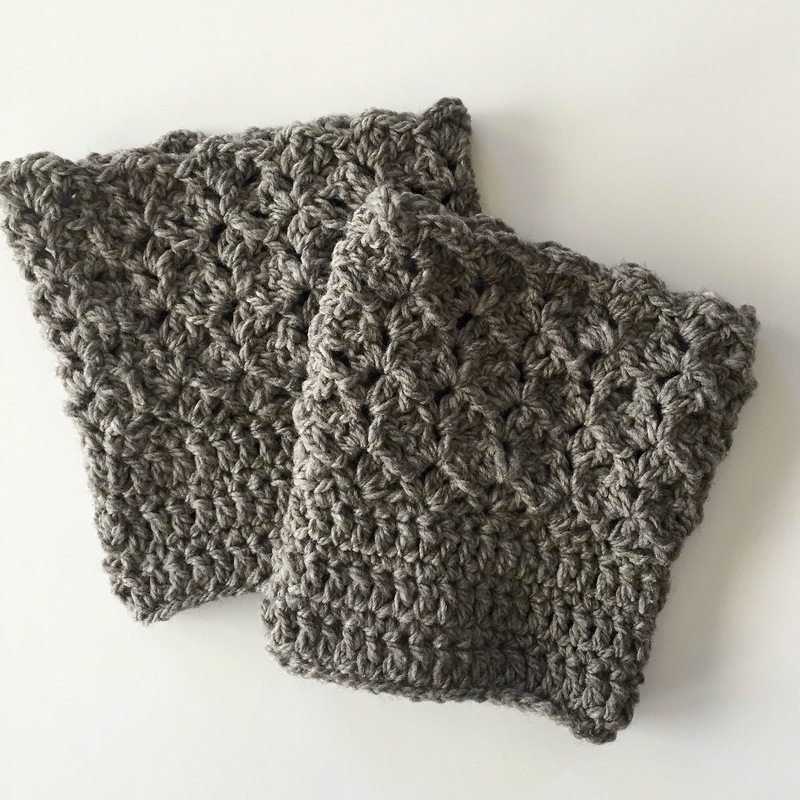 Once you crochet these boot cuffs, they will be perfect for wearing in cold weather or giving as a gift. They are approximately 7 inches high (shorter for child size) and can be worn so as little or as much is peeking out above your boot. Circumference is 9.5-14 inches depending on chosen size and will stretch 1-2 inches beyond that comfortably if needed. Instructions include how to increase or decrease size of finished boot cuffs. You’ll need an H Crochet hook and your favorite medium worsted weight yarn.